Life is the Heart of a Rainbow is a focused survey of Kusama's vast body of work. The exhibition takes in key motifs in her art as they have developed since the early 1950s, her engagement with the body and her expansive conception of space. It includes early painterly experiments, a multi-decade presentation of the artist's celebrated Infinity Net paintings, performance, soft sculpture, assemblage, the iconic Infinity Rooms and large-scale installations of her later career. 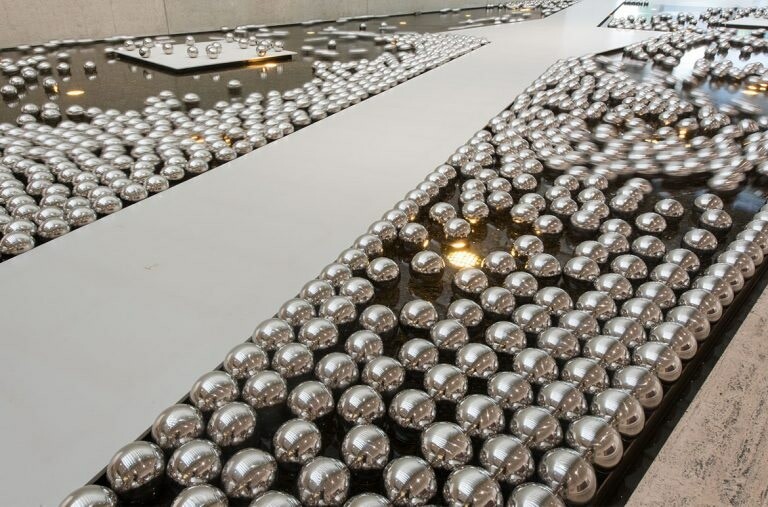 This culminates in the encompassing presentation of Kusama's most recent paintings from the visually arresting My Eternal Soul series (2009 – ongoing). The Gallery's beguiling Narcissus Garden (1966/2002) is on display in the Watermall at QAG, while the Children's Art Centre at GOMA hosts the interactive phenomenon The Obliteration Room (2002 – ongoing).